Mr. Weiskopf gets ready to tee off on the 6th hole at the newest golf course on the southshore of Kauai. Kukui'ula Golf Course was designed by Weiskopf, winner of 16 PGA Tour titles and designer of award winning golf courses. 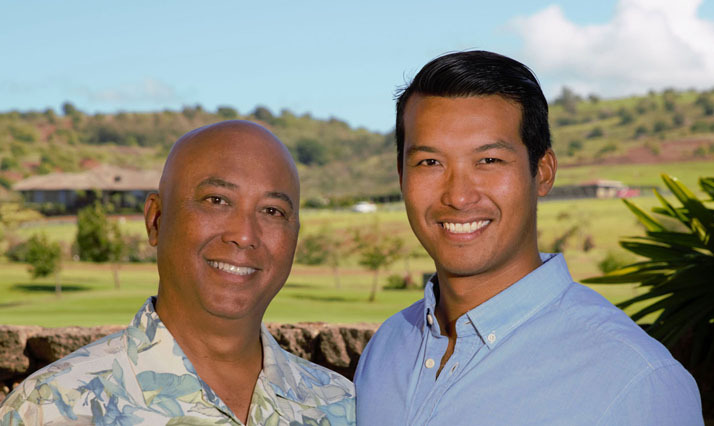 I have been invited by my friend, Phil, to be his guest partner at Kukui'ula's inaugural member-guest golf championship. Today we will walk the course with Tom Weiskopf, who will share his insights and visions that created the prestigious Kukui'ula Golf Course. Tomorrow, will be the 1st round of a Two Person Shamble. On Saturday, the tournament continues with a final round of Two Person Better Ball. I'm looking foward to having a great time and an awesome experience! Hope we win!! !